It has been reported that a senior lawyer has represented that the case of Irvin Mc Queen v The Public Service Commission (PSC) (1997) establishes that every public officer is constitutionally entitled to pension benefits in accordance with the Pensions Act Cap 233. This Act provides very generous benefits to retiring public officers. It is herein submitted that the conclusion which has been drawn by this senior lawyer is a complete misinterpretation of the ratio decidendi of the Mc Queen case. 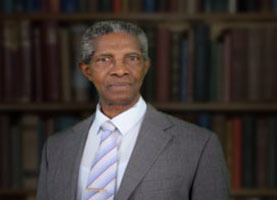 On 2 September 1996 Irvin Mc Queen was retired from the public service by the PSC on the ground that the office of Local Government Coordinator which he then held was abolished. The PSC asserted that the retiring benefits to which Mc Queen was entitled did not include pension benefits under the Pensions Act. The PSC claimed that Mc Queen had joined the service after 4 April 1983 and that this date was established by the Pensions (Disqualification) Act which was enacted by the People’s Revolutionary Government (PRG) for disqualifying public officers subsequently appointed from benefiting under the Pensions Act. The High Court agreed with the PSC and Mc Queen challenged its ruling by appealing to the Court of Appeal citing section 84 (8) of the Constitution. Section 84 (8) of the Constitution provides that “Every public officer who is required to retire on abolition of his office or for the purpose of reorganisation of his Ministry or Department shall be entitled to pension and retiring benefits as if he had attained the compulsory retiring age.” The Court of Appeal through Sir Dennis Byron ruled in Mc Queen’s favour. The Court of Appeal made it clear that the term “every public officer” is not limited in relation to the date of joining the service. The limiting clause in the Constitution relates to those who are required to retire on abolition of office or for the purpose of reorganisation. Therefore, the Pensions (Disqualification) Act is void to the extent that it is inconsistent with the benefits created by section 84 (8) of the Constitution. The Court further emphasised that section 84 (8) creates constitutionally entrenched rights in favour of public servants who are required to retire on the abolition of office which rights cannot be altered by statutory provisions but only by constitutional amendment. The law to be applied therefore is the Pensions Act which Act was the one in place when the Constitution was enacted in 1974. In stark contrast to the Mc Queen case is that of Hermilyn Armstrong v the A.G. of Grenada and the Minister of Finance (2010). Ms Armstrong was appointed as a public officer performing the functions of a Key Punch Operator on 17 May 1983. It was generally accepted at the time that prior to 4 April 1983 pension benefits for public officers were regulated by the Pensions Act. The PRG enacted the National Insurance Act, 1983 which made provisions for a scheme of national insurance for, inter alia, age benefits. The PRG also enacted the Pensions (Disqualification) Act, 1983 which purportedly disqualified persons who were appointed to the public service on or after 4 April 1983 from being entitled to pension benefits under the Pensions Act. Armstrong reached retirement age and retired on 28 August 2009. Having not been paid her pension benefits under the Pensions Act, Armstrong contended that the disqualification provision did not prevail against her in consideration of section 92 (2) (b) of the Constitution. This section provides that the law to be applied with respect to pension benefits shall be the law in force on the date on which the period of service commenced. The Court ruled in favour of Armstrong allowing her to benefit under the Pensions Act. The Pensions (Disqualification) Act was deemed to be ineffective at the time when she commenced her service on 17 May 1983 as the Act was passed by the PRG which was an unconstitutional government. It is to be noted however that the said Act was subsequently validated by the Confirmation of Validity Act on 22 February 1985 by the Herbert Blaize government which was constitutionally elected in 1984. It may be concluded therefore that even a validated Pensions (Disqualification) Act cannot affect the pension benefits of persons who are required to retire in accordance with section 84 (8) of the Constitution. These benefits constitute a right that was created since the enactment of the Constitution in 1974. Those persons will benefit under the original Pensions Act. (See the Mc Queen case). However, the validated Pensions (Disqualification) Act will affect the pension benefits of persons who commenced service after 22 February 1985. Those persons will only be entitled to pension benefits under the National Insurance Act for the time being as the Pensions (Disqualification) Act is valid from 22 February 1985. (See the Armstrong case). The ratio decidendi of each of these cases, therefore, is entirely different. In fact, the Mc Queen case has been grossly misinterpreted when it was indicated by the senior lawyer that all public officers are entitled to pension benefits under the Pensions Act.